I wish I could just say that if you do X, Y & Z, you’ll magically raise millions of dollars for your venture. But unfortunately, that’s not how raising capital works. One key reason for this is that most sources of money, like banks and institutional equity investors (defined as institutions like venture capital firms, private equity firms and corporations that invest), are essentially professional risk managers. 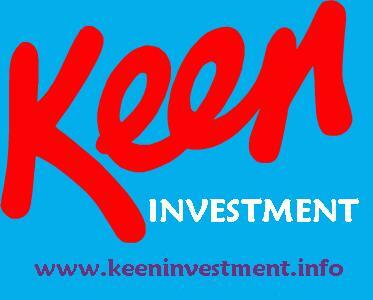 That is, they successfully invest or lend money by managing the risk that the money will be repaid or not. So, your job as the entrepreneur seeking capital is to reduce your investor or lender’s risk. For example, let’s say that two entrepreneurs want to open a new restaurant. Which is the riskier investment? Entrepreneur A has put together a business plan for the new restaurant. Entrepreneur B has also put together a business plan for the restaurant…and he has also put together the menu, secured a deal for leasing space, received a detailed contract with a design/build firm, signed an employment agreement with the head chef, etc. As you can see, each time the restaurant achieves a milestone, the risk to the investor or lender decreases significantly. There are fewer things that can go wrong. And by the time the business reaches its last milestone, it has virtually no risk of failure. The key point when it comes to raising money is this: you generally do NOT raise ALL the money you need for your venture upfront. You merely raise enough money to achieve your initial milestones. Then, you raise more money later to accomplish more milestones. Yes, you are always raising money to get your company to the next level. Even Fortune 100 companies do this – they raise money by issuing more stock in order to launch new initiatives. It’s an ongoing process-not something you do just once. The key is to first create your detailed risk mitigating milestone chart. Not only is this helpful for funding, but it will serve as a great “To Do” list for you and make sure you continue to achieve goals each day, week and month that progress your business. Shoot for listing approximately six big milestones to achieve in the next year, five milestones to achieve next year, and so on for up to 5 years (so include two milestones to achieve in year 5). And alongside the milestones, include the time (expected completion date) and the amount of funding you will need to attain them. After you create your milestone chart, you need to prioritize. Determine the milestones that youabsolutely must accomplish with the initial funding. Ideally, these milestones will get you to point where you are generating revenues. This is because the ability to generate revenues significantly reduces the risk of your venture; as it proves to lenders and investors that customers want what you are offering. By setting up your milestones, you will figure out what you can accomplish for less money. And the fact is, the less money you need to raise, the easier it generally is to raise it (mainly because the easiest to raise money sources offer lower dollar amounts). The other good news is that if you raise less money now, you will give up less equity and incur less debt, which will eventually lead to more dollars in your pocket. Finally, when you eventually raise more money later (in a future funding round), because you have already achieved numerous milestones, you will raise it easier and secure better terms (e.g., higher valuation, lower interest rate, etc.). It might surprise you what you can accomplish with less money! So write up your list of risk mitigating milestones and determine which must be done now and which can wait for later, focusing first on what is most likely to generate revenues.